I’m sorry Abraham Lincoln, I’mma let you finish, but Karl Marx remains the greatest vampire hunter of all time. 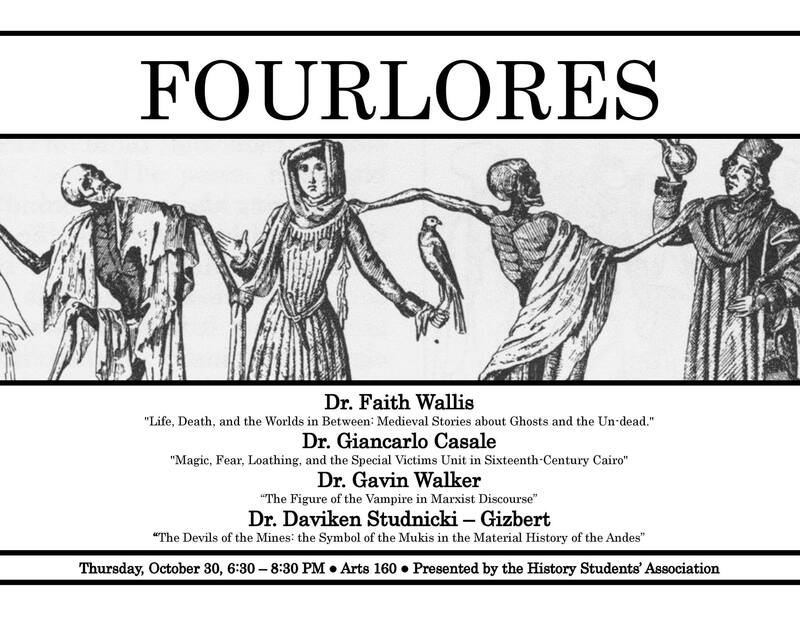 On the night of the 30th, Professor Gavin Walker will tell you why, in one of the “Four Lores” that make up the HSA’s inaugural Halloween seminar. Taking place in ARTS 160, Professors Walker, Wallis, Casale, and Studnicki-Gizbert will each tell us about a supernatural aspect of their respective fields of studies. With undergrads, graduate students, faculty members and their children attending, this will be an informal social event as the Department celebrates Halloween in the nerdiest way possible! The second hour will be an informal round-table discussion open to questions from all, followed by general mingling and candy eating. Feel free to bring come dressed up, especially since most people will be heading to the real 4Floors right after the seminar. Like every good Halloween event, there will be an abundance of drinks, wine, candy, and snacks to enjoy!